all time classic EDM track, Sandstorm! Thank you to everyone who made it and for showing your support! Shout out to the team that made this great event happen! and film this miraculous experience with my family and friends. capture one of nature’s most stunning events. Happiness, romance and fun define your wedding day. Whether indoors or out, the picture-perfect moments add up to a one-time affair you will cherish for the rest of your life. A wedding video gives you the chance to experience this event of a lifetime forever. Your venue is such a lovely place. You have seen it during your planning, but it is so much to take in once all the hugs and kisses flood you throughout your day. The cameras of Hi Focused cinematography will take it all in for you. We know how to bring your perfect beach setting, sanctuary or hall to wondrous life. We are honored to be invited to stay by your side for this occasion. Your preparations before the ceremony are touching and intimate. Enjoy the candid moments, light touches and special whispers of warmth before you leave your individual identity behind to unite as one with the love of your life. Breathe, relax and have fun as you make the rounds to all the people who have come to celebrate your marriage. The bride’s entrance, the couple’s vows and the moving ring exchange are finally here. Your elders, friends, co-workers and family are in the audience but by your side. The love in the air is palpable. The brilliant flowers, ornate centerpieces and arch will hold your guest’s attention. But the most spectacular detail of the day is the bride’s wedding gown. So many people have helped her make the choice of a lifetime. When the festivities are over, you can look back and appreciate how incredible your day was. Your wedding’s milestones will remain the talk of the town long after the day is over. Forever, you and your bridal party will reminisce about all the moments you made. No one will forget the first kiss, the bouquet toss and the cutting of your beautiful cake. The speeches and toasts are documented forever in your wedding video, so you may always cherish how your loved ones really feel about you. Mahalo Angel & Kenneth for having us be your Maui Wedding Videographers! Drone Cinematography has changed so much over the years. I remember starting just about two and a half years ago with a GoPro attached to my Phantom 2 drone flying my drone around Maui, Hawaii. We also had to solder wires to connect it to a transmitter so we could see what we were filming, this is called first person view, FPV. Now drones have cameras already integrated with the drone. For FPV just plug your smart phone or tablet into your controller and you can see what you are shooting and have full control over your camera settings as well as drone settings and various intelligent flight modes. The intelligent flight modes are amazing too! When I had my Phantom two there was really just 3 flight modes now there are many many more. You can do tripod mode for steady slow controlled shots, you can do tap to flight, simply tap on your screen where to fly to, you can do active track, pick a moving object and it will follow it, all pretty amazing and useful too! The quality on the cameras are getting more and more professional too. For me as a professional filmmaker I want the highest quality possible and the current Phantom 4 Pro has amazing quality. It has an impressive 1” sensor, that shoots 4k resolution at 60 frames per second with great clarity and high performance in low light conditions. This is truly a professional camera that can fly. On top of the ease of use, set up time, camera quality and flight modes the Phantom 4 Pro drone has forward and back sensors for obstacle avoidance. I tested them by flying the drone straight at me full speed where it stopped about 6 feet away! The batteries last about 40% longer too. 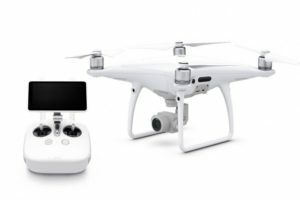 The Phantom 2 with a Go Pro and FPV was about $2000 now, 3 years later you can get the Phantom 4 Pro with so much more for $1599. Pretty awesome! With the power and abilities of today’s drones, come regulations. As a drone pilot you are either a hobbyist or a professional. If you make any money from flying your drone you need to get a Small Unmanned Aircraft Pilots license called a Part 107. It’s a multiple choice test, that test extensive knowledge on weather, aeronautical knowledge and reading sectional charts (maps for pilots). It’s no easy test and takes time to study. If you are a hobbyist all you need to do is register your drone with the FAA and of course follow their guidelines. For me as a wedding filmmaker, here on Maui, the use of drones really add a high production value to my films. It gives the viewer a perspective on the location like nothing else can, especially videoing such scenic wedding venues as we have here in Maui, Hawaii. Flying my drone has given me a renewed appreciation in the beautiful place we all live. 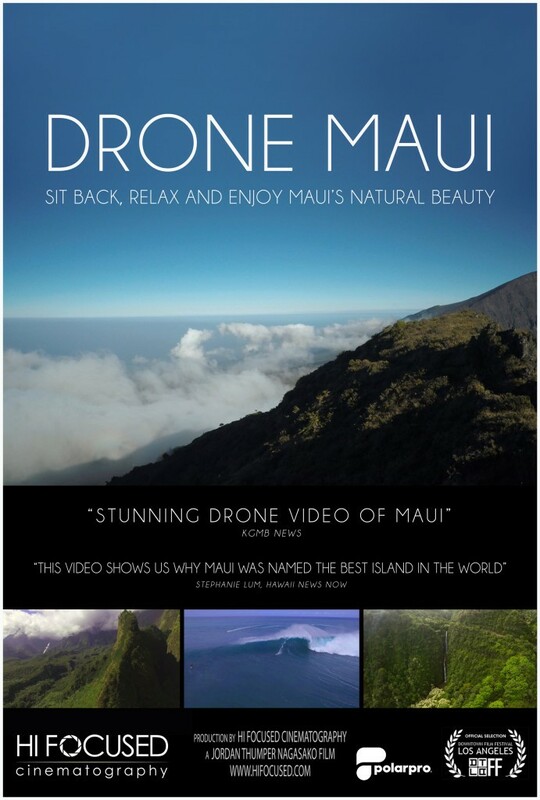 My last drone film Drone Maui was featured on KHON News and The Down Town LA Film Festival. So in a few short years, drones have revolutionized the industry in so many ways. Drones give us a new view of the world that we never had before. With technology advancing so fast and drones still being realitvly new, I’m excited for what the future holds for these modern filming marvels. accepted into the Downtown Los Angeles Film Festival! It’s a mile stone in my career and an honor to have my film on the big screen. It will be showing at the Regal Cinemas L.A.
Congratulations guys on your beautiful Maui wedding!